Granny, Granny did you hear me?” Because most hearing loss occurs gradually, it’s not always apparent to you. Family and friends notice though, repeating themselves, waiting patiently as you talk over the top of them, looking confused as you try to guess the question they asked and then respond with a pretty random answer! At Hear Again clinics you receive free initial hearing checks. 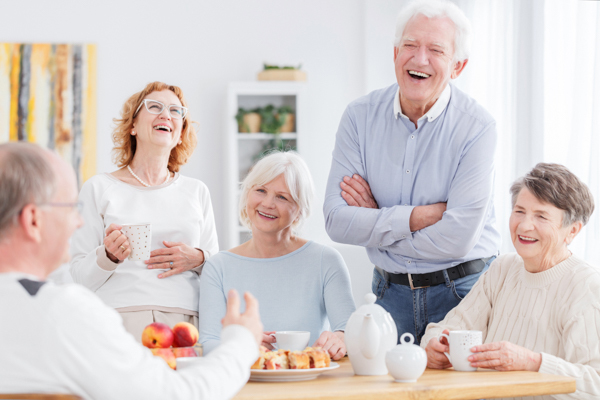 The friendly and caring team understands that caring for your hearing is not just about running some tests and sending you away with hearing aids. If you do need hearing assistance, the team takes the time to listen to your needs and lifestyle, then works with you to provide the best and most comfortable solution. Hear Again offers free demonstrations of the latest hearing technologies and they can fit a pair of high quality European hearing devices for as little as $495, providing you are eligible for a government subsidy for hearing aids. Proudly 100 percent New Zealand owned and fully independent, Hear Again promises to offer the very best unbiased advice. To give you absolute peace of mind, they offer a six-week 100 percent money-back satisfaction guarantee on all hearing aids. “If you already have a set of hearing aids that sit unused and unloved in a drawer, or you feel your current hearing aids are not doing the job they should, we’d love to see you,” Steve says. The company will service your devices and offer batteries and accessories. With the simple goal of making hearing care as easy as possible, Hear Again has shopping mall-based clinics in Auckland and Christchurch where you can make appointments outside of office hours if needed. If you can’t make it to the clinic, the team can even arrange to come to you in your own home. “We look forward to helping you re-join the conversation and ‘Hear Again’,” Steve says. Book a free hearing check with Hear Again, along with a free demonstration. Visit hearagain.co.nz for details.